The trenches of WWI birthed some of the most brutal combat in recent history and with such close quarter combat came an equally brutal form of weapon, the trench knife. 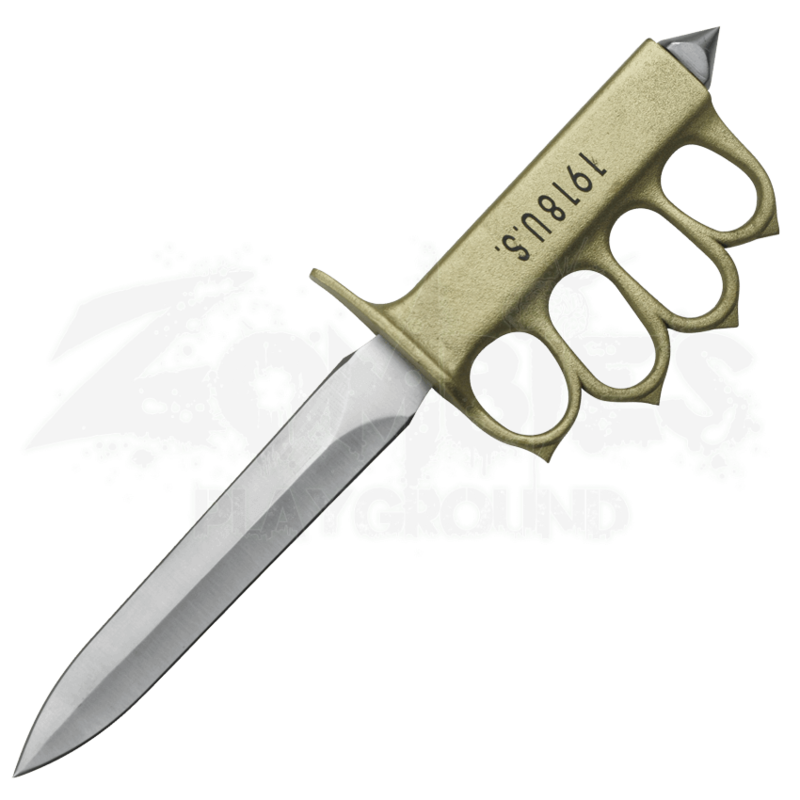 You can now get a small piece of that with the 1918 Trench Knife. An almost direct replica of the Mark I complete with knuckle duster finger guards and skull crusher pommel, it is an all-around fighting tool. With a stainless steel black and zinc alloy handle, it is a hefty blade with a hefty purpose. With this knife you get a scabbard for safe storage. 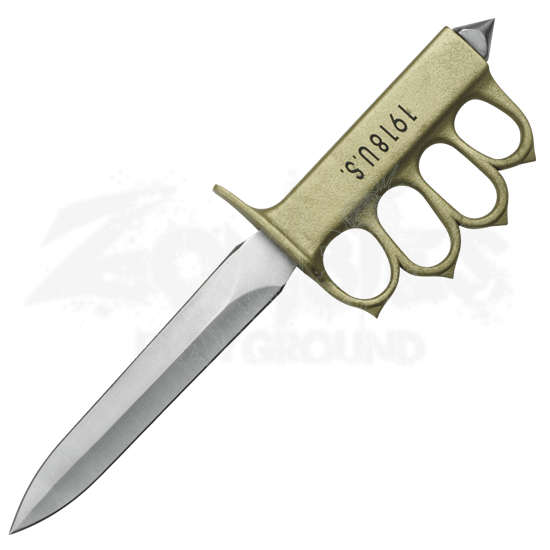 Pick up the 1918 Trench Knife for a great historical piece.